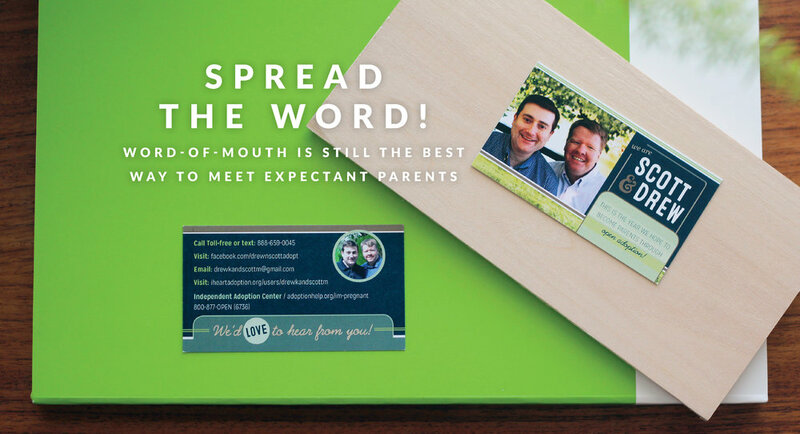 Hopefully Parents designs personalized materials to make your adoption outreach simple and painless. Old fashioned word-of-mouth is still the best way to spread the word you're adopting! These handy cards make outreach easy! We know your family is dying to help in your outreach plan! Being online is imperative when you're adopting. Profile hosting is the inexpensive and easy alternative to a full-blown website. Click here to view a sample hosting profile page now! Facebook is a powerful tool in your adoption outreach. With our Tip Sheet we teach you everything you need to know about Facebook, and our custom cover photo makes setting your page up a snap!